We have been operating for seven weeks. It feels like we know what we are doing now. We have had very busy days and very quiet ones. The ideal is somewhere elusively in between. We are getting the hang of how much preparation to do and refining the menu - keeping it distinctive but with enough familiar items to appeal to our customers. The most pleasing aspect is by far is the positive feedback we’re getting; about the place, the atmosphere we have created and the quality of the food and drink on offer. 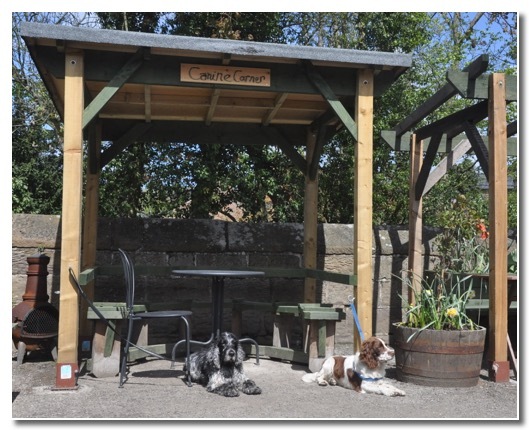 Our ‘canine corner’ for dog walkers and their charges is very popular. The outdoor seating came into its own in the recent spell of hot weather but it will be even better when the plants have grown up enough to provide some shade. In the quiet intervals between the huffing and puffing of the steam trains we are really noticing the birds singing around us. It’s lovely seeing the swallows too. 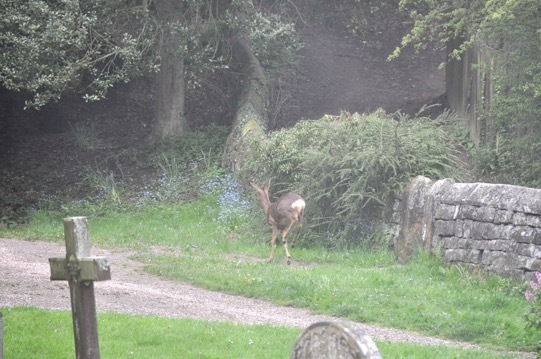 The other morning we saw a deer wandering through the churchyard.